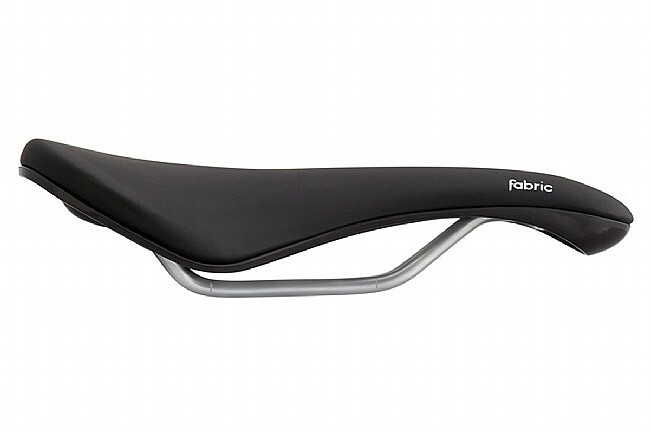 Fabric's Scoop performance saddle gets a comfort upgrade with this Elite Gel version. They've added three large gel inserts to cover all your contact points, and the shape is also a little wider and shorter to make it more functional for the rider that likes to stay put on the saddle. Thanks to Fabric's unique three-layer construction, the vacuum-bonded cover doesn't need to be stretched like with traditional methods so a softer foam can be used to increase comfort even more. Claimed weight is 280 g. 155 mm width x 260 mm length. 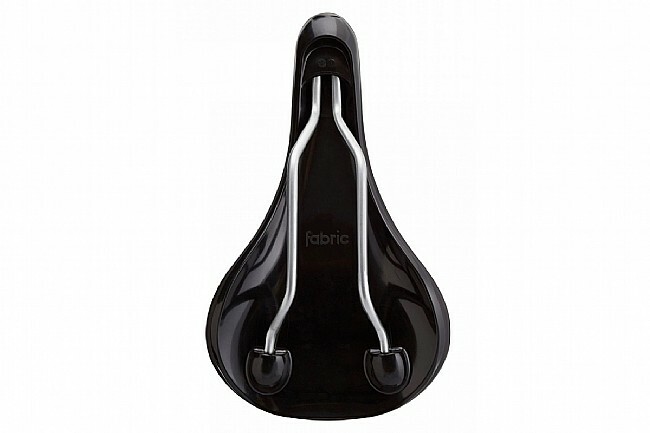 Saddle choice is quite personal, but assuming its shape and size are appropriate for your anatomy, the Fabric Scoop Gel Saddle is worth your consideration. It's nicely designed, the materials are good, the staple-free construction is nifty, and it's comfortable. 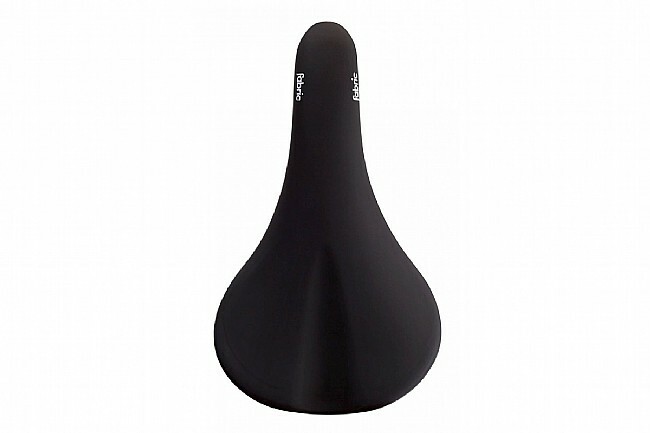 I find the Scoop Gel to be more comfortable than the regular Scoop saddle, especially for longer rides, because it is slightly wider and softer, without being too wide or too soft. (And never mind that this Gel version of the Scoop is sometimes labeled as a Women's saddle. There is nothing womanly about it that prevents a man from using it, and similarly, nothing manly about the regular Scoop saddle that prevents a woman from using it. Just get what fits you.) Recommended. I like a firmer, narrower saddle for road racing, but a softer, wider saddle for mtn biking and loaded touring when my position is more upright. This saddle provides more cushion without feeling like a full diaper between my legs. Also when touring, I don't tend to shift around or move forwardbackward much, that's where this saddle's shorter length shines through. For mtn biking, I still want a longer nose to slide forward on for steep uphills. This saddle has been a perfect (and affordable) addition to my touring bike. Bought based on rave reviews. Sounded great but I havent been able to get comfortable on it no matter how much Ive altered the angle, forwardbackwards on the rails, height. Ive ridden 5 times at 20-23 miles each time hoping Id get used to it but the only time I didnt notice achy bottom was when I was leaned forward over my handlebars. (Giant Sedona). Put my 2 year old Nashbar FC1 back on and that feels so much better. Was told this saddle was fine for either women or men. Was not good for me and now stuck with a spare saddle in the extra parts box.